Two color high speed Tagless Pad Printer LC- PM2-100PT can print 2-color logos, tags, tagless at T-shirt ,underwear ,bra, underpants garment.. It can print 2 colors at one time. This machine is printing with pad shuttle. Its printing speed upto 2600 pcs per hour. It has closed ink cup, can save 60% ink and 90% thinner. It is friendly of environmental, safe, and comply with CE European safe standard Starderand, ease operateing. 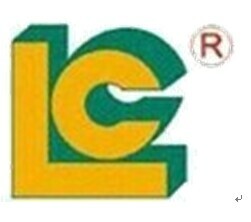 Luen Cheong Printing Equipment Group Ltd. established in 1991,which is professional in develop,manufacture and sales the Screen printer,Pad printer,Hot stamping machine,Heat transfer machine,Peripheral Equipment &Accessory. With the long time experience in manufacture special printing equipment, we are focus on making the good quality printing equipment and whole solution service for domestic and aboard.